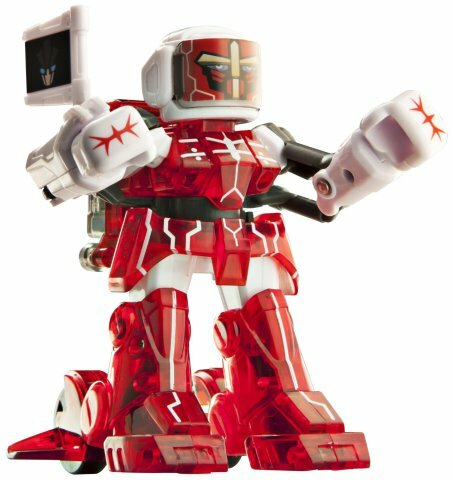 TOMY’s Battroborgs are an interesting combination of the Nintendo Wii’s motion controls and the classic Rock 'Em Sock 'Em Robots game that makes the theme of colorful pit fighting robots an exciting, innovative and exciting new toy. 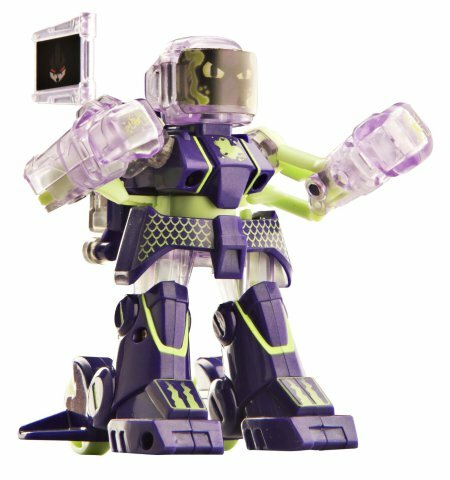 Although the concept of pitting one toy against another is as old as the “Collect them all!” slogans on their boxes, Battroborgs are likely to get you to grab a second robot and a friend to test out the little sluggers. 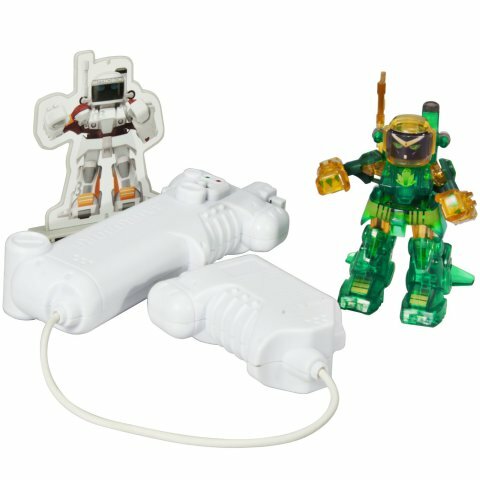 Each Battroborg is synced to a two-part wireless controller that the player holds in each hand. When you thrust the left half of your controller forward, your Battroborg throws a mean left hook, and it vice-versa. Two Battroborgs enter the area/tiled kitchen floor so they can easily move around, and only one leaves! Pummel & ControllerActually, the fights are won decisively, as the loser is the robot that was either knocked over, or took five hits to its faceplate, which is noted with a flashing red light on its shoulder. Between the easy-to-sync controls, simple but well executed idea, the brilliant designs and colors that adorn each mechanized fighter, as well as how the robots are charged in 20 minutes by connecting them directly to the motion controller, TOMY really pulled off the excitement of kid-friendly automaton combat with their Battroborg series. CyclobberIt’s not all about two-player Battroborg battles though, as single players can hone their skills against an AI-controlled Battroborg toy, and up to ten players can send their unique fighting robots into the ring at once for a chaotic, yet brilliant, mega-fight. Battroborgs are definitely the coolest combat-themed toy that I’ve seen in a very long time, so keep an eye out for your kid’s favorite colors, as I’m calling these little guys as Christmastime contenders as one of the year’s most popular toys. Game Of 'Social Media' Thrones Positions HootSuite As Benevolent Leader?